For professionals and serious do-it-yourselfers, Kobalt makes the best cordless drill. For light duty work, however, Bosch is tops. 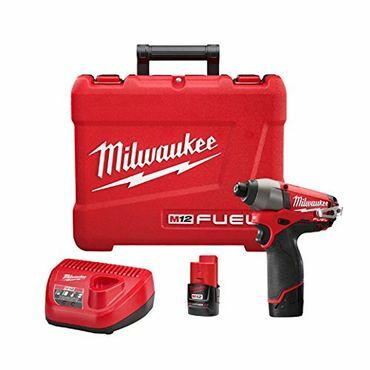 Milwaukee continues to make an impact with its well-liked impact driver. We also found some terrific combo kits, and even a pretty good light duty cordless screwdriver. Budget tools are highlighted, too. The 24-volt Kobalt KDD 1424A-03 cordless drill packs enough power to tackle just about any task. In professional tests, it delivers plenty of power and speed and lasts a good amount of time on a battery charge. Owners appreciate its lightweight body, two-speed operation, half-inch chuck, and abundant features such as an LED task light, battery life gauge, onboard bit storage, and belt hook. However, it’s a bit heavier and louder than many competing drills. The Bosch PS31-2A doesn't pack enough power for professional users, but it can easily handle DIY jobs around the house. Both professional testers and home users describe this 12-volt cordless drill as light and compact, with good battery life and a surprising amount of power for its small size. There's no belt hook, but it does include nice pluses like an LED work light, two speeds and a battery life gauge. With 1,200 inch-pounds of peak torque, the 12-volt Milwaukee 2453-22 can handle just about any driving job you can throw at it. 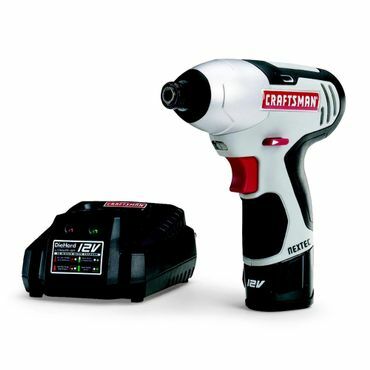 In comparison tests, it drives far more screws and bolts than other cordless impact drivers before its battery gives out. It also has great features like an easy-insert chuck, a battery life indicator, a work light, and a five-year warranty (two years for the lithium-ion batteries). Owners find it durable, lightweight, and comfortable to use. Contractors and other professionals might want to steer clear, but homeowners who want an impact driver for occasional use should consider the Craftsman 17428. Its 830 inch-pounds of peak torque can't match the performance of pricier tools, but expert reviewers give it high marks for its responsive trigger, comfortable handling, and fast charge time – as little as half an hour. Users are equally pleased with its compact size and low price. 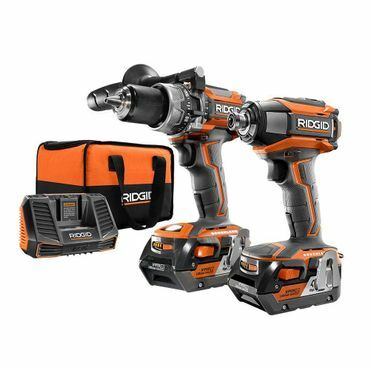 The Ridgid R9205 is the only combo kit we've seen that gives you two 18-volt tools with solid reviews from both professionals and users, all for a reasonable price. 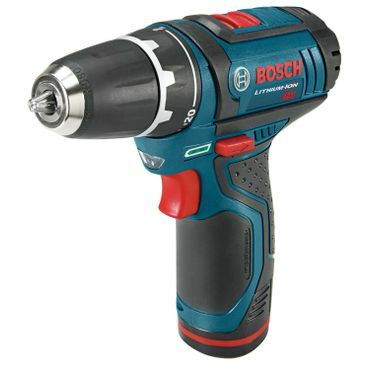 Reviewers say both the drill and the impact driver are powerful, compact, and comfortable to hold, and they can go a long time on a charge. The set also includes two 4.0-Ah batteries, a charger, and a contractor bag. Both tools are backed by a lifetime service agreement. The 7.2-volt DeWalt DW920K is both heavier and pricier than most cordless screwdrivers, but it gives you a lot of features for the money. Both torque and speed are adjustable, and the unique two-position handle lets you tackle screws from any angle. The quick-release chuck lets you switch out bits with ease. The tool can even be reversed so you can use it for light-duty drilling as well as driving. For most drilling and driving needs, a cordless drill/driver is the most practical tool. These tools have a chuck that can accommodate a variety of different bits, both round and hex-shank (hexagonal), for drilling holes and for driving or removing screws. Cordless drills also come with an adjustable clutch that regulates the torque, or twisting power, applied to a screw for delicate projects. Most cordless drills deliver either 12 or 18 volts of electromotive force. If you have to drive a lot of screws, one after another -- for instance, to build a deck or hang tile backer board -- a cordless impact driver is a better choice than a drill. This tool does only one job – driving screws and other fasteners – but it does it fast and easily. Impact drivers work by combining bit rotation with percussive force, giving them two to three times the torque of a drill/driver, according to Popular Mechanics. However, they can't bore holes unless you equip them with a special hex-shank bit for the purpose, and even then, they're much slower than a cordless drill. If you're going to be doing both a lot of drilling and a lot of driving, consider getting a combo kit. These include both a cordless drill and an impact driver, together with batteries and a charger that work with either tool. Buying a combo kit is often significantly cheaper than buying the individual tools separately. However, at around $200, these kits are still pricier than either tool on its own, so don't spring for one unless you're really sure you need both. If your screw-driving needs are limited to minor tasks, like assembling furniture and hanging items on walls, you might be just fine with a cordless screwdriver. Cordless screwdrivers typically cost $100 or less and weigh only 1 to 2 pounds, and their compact size is handy for getting into tight spaces. However, they lack the power of an impact driver and the versatility of a drill. If you can handle the extra weight, you can spend the same amount for a compact cordless drill/driver that does two jobs instead of one. "Best 18V Impact Driver Roundup"
Numerous publications, including Consumer Reports, Popular Mechanics, and Wirecutter, put cordless drills and impact drivers through rigorous comparison testing. We consulted these sources to see which drills have the power, speed, and battery life to handle the toughest jobs. We also considered what professionals and owners had to say about the tools' handling, charging time, and features. Reviews from retail sites such as Lowe's, Home Depot, and Amazon provided useful information about long-term durability. We factored in all this information to name the best cordless drills for both heavy and light use, cordless impact drivers, cordless tool combo kits, and cordless screwdrivers. Experts say if you want a tool with the power to handle just about any drilling or screwing job you can throw at it, you should choose a drill of at least 18 volts. The Kobalt KDD 1424A-03 (Est. $160), which is rated at 24 volts, clears this bar by a mile. It manages this trick, in the words of Kenny Koehler at Pro Tool Reviews, by "adding an extra cell in its battery pack so that it runs on six cells instead of five." 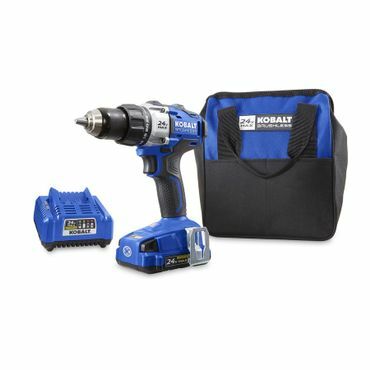 Koehler admits this sounds like a gimmick, but in his tests and a series of tests at Consumer Reports, this Kobalt drill proves it's more than that. Both publications give the drill top marks for speed and rate it very good for torque as well. They're not quite in agreement on its ease of use, though; Koehler rates its ergonomics "very good," but the editors of Consumer Reports give it only a so-so score for handling. They also note that while it can run a fairly long time on a battery charge, it might not be able to make it all the way through a big job without recharging. That's a problem, since the kit comes with only one 2.0-Ah battery, and it takes about 85 minutes to charge. Fortunately, you can buy an additional battery, the Kobalt KB 224-03 (Est. $20), or upgrade to a 5.0-Ah battery, the Kobalt KB 524-03, (Est. $90), which will give you plenty of run time. The Kobalt KDD 1424A-03 has lots of useful features, too. It has a brushless motor, which improves both its durability and its efficiency. Like most cordless drills, it has a two-speed transmission that lets you choose between more torque (for driving) or more speed (for drilling). Other perks include a half-inch chuck, a built-in LED work light for use in dark spaces, a belt hook, onboard storage for extra bits, and a battery life gauge to show how much charge you have left. On the downside, it's heavier than most 18-volt drills, at four pounds. Consumer Reports says that it's also on the loud side. User feedback isn't as ample as we'd like, but we found nearly 80 reviews for the Kobalt KDD 1424A-03 at Lowe's, the primary retailer. It gets a very solid overall rating of 4.5 stars from owners, who describe it as powerful and lightweight, with good run time. The main complaint we saw about this drill is that the chuck can work its way loose, allowing the bits to fall out. The drill is backed by a five-year warranty, with three years' coverage for the battery. If the Kobalt drill's price tag is a little too rich for your budget, the Worx WX176L (Est. $95) also gets strong ratings from both professionals and users. It's not as powerful as the Kobalt; Worx bills it as a "20 volt max" drill, but as Pro Tool Reviews explains, that's actually the same thing as other brands' 18-volt tools. In tests at Consumer Reports, it doesn't fare quite as well as the Kobalt; while both drills are fast, the Worx is more difficult to handle and control. It can go longer than the Kobalt on a fully charged battery, but when it finally runs dry, it takes a whopping 5 hours to recharge. Also, its quick-release chuck can't accept bits larger than 1/4 inch, which makes this drill unsuitable for heavy-duty jobs. On the plus side, it's nearly a pound lighter than the Kobalt and significantly quieter. The Worx drill's real selling point, though, is its unique dual rotating chuck. This clever design can hold both a drill bit and a driving bit, so when you want to switch from one task to the other, all you have to do is give the head a turn. Users at every retail site that carries this drill – Amazon, Home Depot, and Lowe's – say this feature is amazingly convenient, making jobs much faster by eliminating the time spent switching out bits. They also like its compact size, light weight, good battery life, and useful features like a work light and two-speed operation – though they'd like to see some additional features, like a belt hook. The most common complaint about this drill is that the torque adjustment is useless; switching the dial from 1 to 12 makes no appreciable difference. It's not clear whether these users received defective drills or the torque settings just don't vary enough to be noticeable. We also saw a few complaints about durability, with owners saying their drills stopped running after three to 16 months. Still, for the price, most users consider it a great value. Worx offers a three-year warranty on the drill, but the batteries are covered for only 12 months. 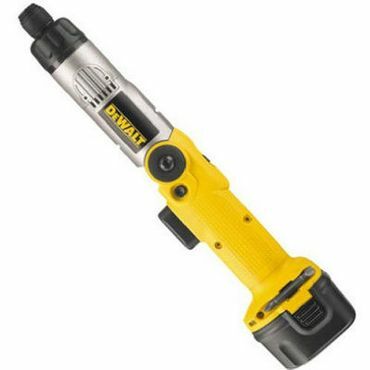 One other 18-volt drill worthy of mention is the DeWalt DCD771C2 (Est. $130). It's not covered in any professional tests, but it receives thousands of mostly-positive reviews at Amazon, Home Depot, and Lowe's. Users say this tool is powerful, lightweight, and well balanced. It can run a long time on a charge and is quick to recharge when it finally runs down. However, it gets a smattering of complaints about durability, both for the drill itself and the battery charger. Also, it's not that easy to tell when the battery is properly seated in the charger, users say, and that may be at the root of some reports of batteries that can't hold a charge. Although 18-volt cordless drills have the most oomph, experts say a lighter 12-volt drill is powerful enough for most homeowners' needs. In this class, the Bosch PS31-2A (Est. $130) is a clear winner. In a comparison test at Wirecutter, this little drill "completely blew away the competition in terms of battery life," drilling twice as many holes on a charge as other 12-volt drills and driving nearly 50 percent more screws. Moreover, even though it was the smallest and lightest drill in the test – just 2.14 pounds – it was powerful enough to beat the performance of many bigger 18-volt drills, driving screws fully and barely struggling as it drilled through dense knots. Roy Berendsohn and Timothy Dahl at Popular Mechanics agree with this view, saying the 12-volt Bosch "could run with the big boys." This Bosch drill has its limitations, however. Although it comes with an LED light, Doug Mahoney of Wirecutter says it's awkwardly placed, so it tends to cast a big shadow right above the drill bit. It has two speeds and a battery life gauge, but no belt hook and no onboard storage for bits. Also, not all testers are as impressed with its battery life as Mahoney. Berendsohn and Dahl warn that its small battery can't handle "serious hole-hogging." However, user reviews at Amazon generally say the drill can go a long time on a charge and recharges quickly. Users also praise the drill for its light, compact size, which makes it easy to use in tight spaces. They admit it's not as powerful as an 18-volt drill, but most say it's tough enough for basic DIY jobs. Their main problem with it is that, for some users, the battery is really hard to remove from the drill for charging. A few users say they had to use pliers to pry it loose, and a couple had to return the drill because they couldn't get it out at all. We also saw a few complaints that the keyless chuck doesn't hold the bits securely, allowing them to slip loose between uses.